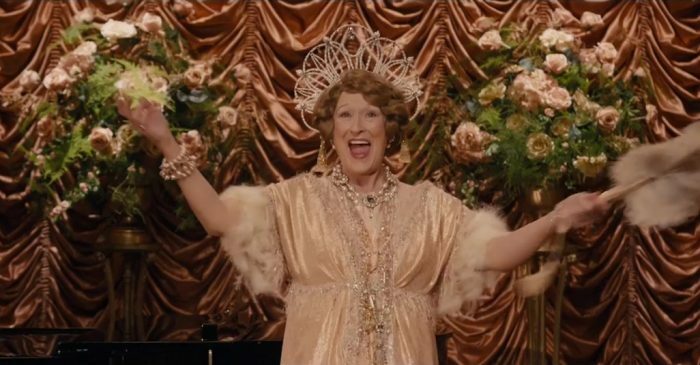 Yesterday marked the big promotional day for “Florence Foster Jenkins” in New York. 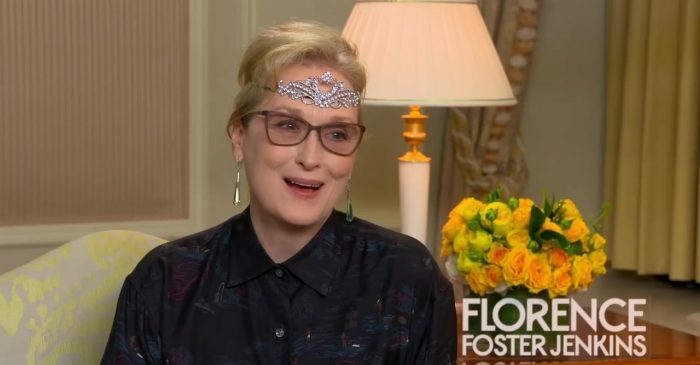 Dozens of press junkets were taped, Meryl Streep and Hugh Grant were guests at CBS This Morning and Good Morning America, and the N.Y. premiere for the film was held in the evening (see the next update). For a complete list of video addtions, have a look at the list below. 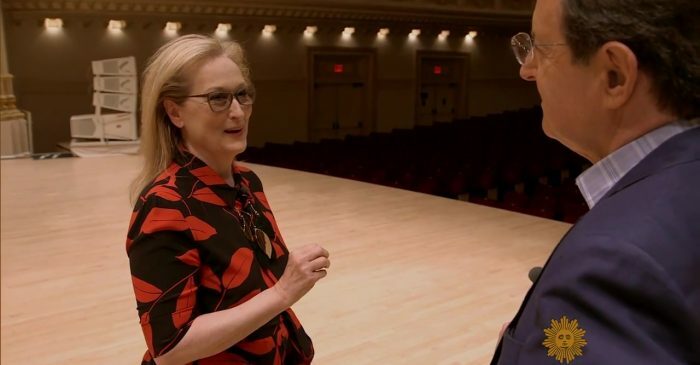 On Monday, Meryl Streep, Hugh Grant and Simon Helberg joined on stage at the 92nd Street’s cultural community center after a screening of “Florence Foster Jenkins” for Annette Insdorf’s Reel Pieces discussion series. Be sure to check this very insightful hour, filled with information on the film’s true story, the making and working with Stephen Frears. Streep, Grant and Helberg reflect on their early days as actors, their favorite work and the changes that were made to the final cut of “Florence Foster Jenkins” (spoilers ahead). 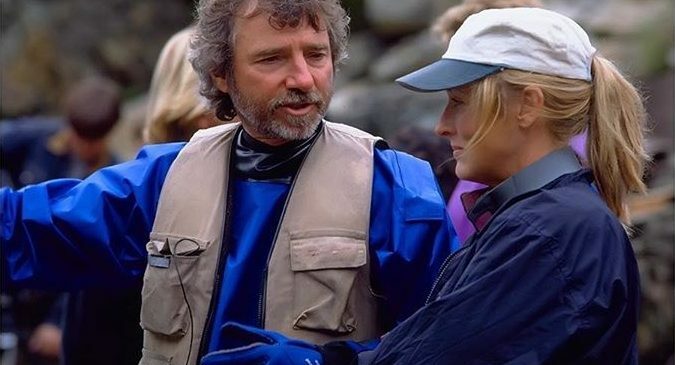 On an even better note, 92nd On Demand has also posted a complete interview with Meryl Streep in November 2000, after a screening for “Postcards from the Edge”, in which she remembers filming the Mike Nichols comedy and also sheds light on the making of more recent films at that time, “Before and After” and “Marvin’s Room”, so be prepared for another great hour on video. Enjoy! 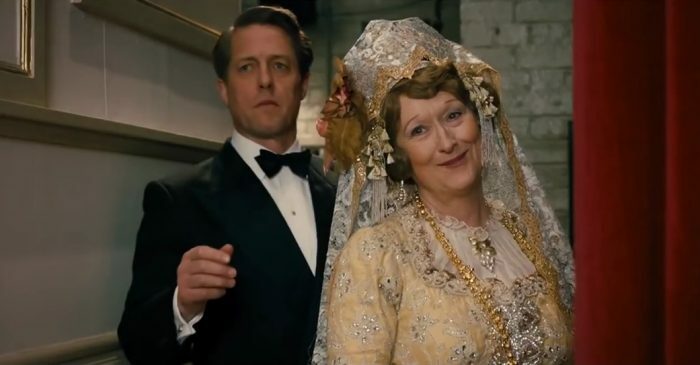 Florence Foster Jenkins didn’t make many recordings, but they had to be heard to be believed: “We heard them at drama school, when I was a student,” said Meryl Streep. 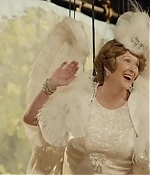 “Yeah, it was pretty specifically great!” Streep plays Lady Florence, as she liked to be called, in the new film, “Florence Foster Jenkins,” about the amateur soprano often called the world’s worst opera singer. “Most of her notes,” as one critic put it, “were promissory.” Mason said, “So many of the great singers of her time are not remembered, but she is.” “Well, that’s a tragedy, actually!” Streep laughed. By the late 1930s, Florence’s performances were notorious. Mystifyingly, the society pages indulged her with glowing notices. “Madame Jenkins’ annual recitals,” the New York Daily Mirror wrote, “bring unbounded joy to the faded souls of Park Avenue and the musical elite.” Composer Cole Porter was a fan. And astonishingly, at the peak of her notoriety in 1944, Florence took the stage at Carnegie Hall and performed to a sold-out house. The full segment can be watched in the video archive with screencaptures being added to the photo gallery. 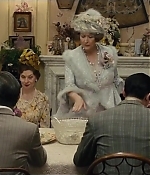 Today, the US theatrical trailer for “Florence Foster Jenkins” has been launched, which is slightly different (and way more showy) than the previous British one. 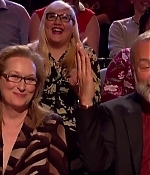 Also, you finally get a glimpse of Florence’s/Meryl’s voice. Be sure to check it out in the video archive. 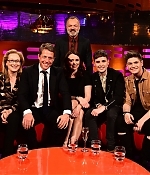 Also, Meryl has been interviewed on the British morning show “Lorraine”. Further, a second featurette on the film, as well as a television spot, have been added. Enjoy. 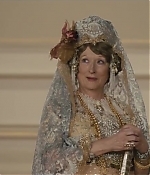 A first promotional featurette for “Florence Foster Jenkins” has been released, including interviews with Meryl Streep, Hugh Grant and director Stephen Frears. Lots of new scenes (and a tiny bit of Florence’s singing) are included as well. Screencaptures from the video have been added to the photo gallery. 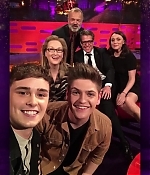 Meryl Streep and Hugh Grant were guests on this week’s The Graham Norton Show to promote the upcoming theatrical release of “Florence Foster Jenkins”. 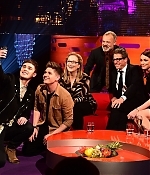 The full episode can be watched in the video archive. Screencaptures from the broadcast and promotionals from the taping have been added to the photo gallery. Here comes my favorite part of early film promotion – new video clips! A fourth scene, again from the Weston’s dinner table, has been posted by Yahoo Movies. And the Weinstein Company starts launching its official clips with the b-roll (unfortunately just a lot of getting in and out of cars) and Meryl’s interview on the film, her character and working with Julia Roberts, Margo Martindale and Benedict Cumberbatch. Enjoy the new clips. HD captures from the interview and the b-roll have been added to the image library as well.